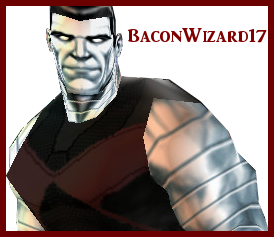 This program is made and is property of Norrin Radd of MarvelMods, who gave me permission to release the program whenever I saw fit (when I found a lot of offsets, which I didn't have time for because the MUA PS2 ones took a lot of my time). Disobeying the rules will result in a permanent ban! This program can be installed anywhere you like. Just use WinRAR or 7zip to unpack it to a location you see fit. It'll unpack a folder called XML2PS2 Skinner. The folder contains blank DDS files for various texture resolutions, my (Mr. Law's^^) created XML2PS2.cfg file and most importantly, the program made by Norrin Radd. Note: the program only works with the XML2PS2.cfg file. It was made by my request, to keep the Config file organised (so I don't have MUA & XML2 PC offsets floating around, aswell as MUA PS2 offsets). Note #2: In the CFG file are instructions on how to add your found XML2 PS2 offsets. You can also find several offsets in the XML2 knowledge base. However, I don't know if they are numbered or not. If not, use the Character Coordinal Concept - XML2 edition to fill in "the void" ^^. It works just like the NRSkinner, so no changes in that. Also: DO NOT POST OFFSETS HERE. NOT WRONG ONES, NOT RIGHT ONES. POST THEM IN THE XML2 PS2 OFFSET CENTRAL!